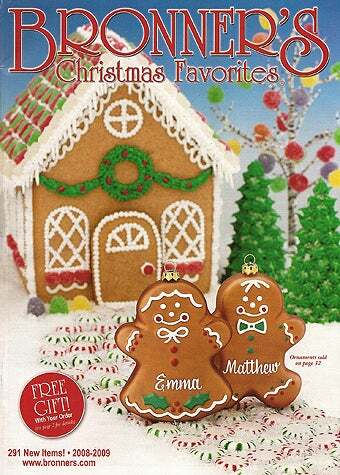 Even though Fall doesn't officially begin until next week, the Christmas catalogs have already begun to arrive. While I get that Christmas trees aren't necessarily "Christian" — they can be a fun way to celebrate the otherwise cold and dark winter season with light and color — there are some extremely odd ornaments for sale in the new catalog from Bronner's. Oh, I'm not talking about the usual wacky stuff: Snowmen, moose, birds, dolphins, vintage cars, Santa drinking wine, Betty Boop, frogs getting married, pirate ships, Hello Kitty, unicorns. I'm talking about seriously crazy items that will make even the most traditional among you say, well, Christ. What is this holiday really all about? Gadgets, pop icons, food products and mythic beasts, after the jump. Whatever happened to teddy bears and toy trains? Cell phones are childs' play now. Seriously, this is just weird. It's not like a digital camera is an aesthetically pleasing objét, like a Littman. Just to be clear: The cinnamon roll and the Coke-toting Santa make sense, but the pizza? The peanut butter and jelly sandwich? Are those Christmas-y? The obvious "weird" winner here: The "deli sandwich." Move over Jesus, there's another King on the tree! Move over Elvis, there's another King on the tree! Tut, what a nut. And for the love of Horus, isn't there a conflict of interest in having a Pharaoh on a Christian symbol? A Mayan temple. On the same page as a margarita. With all this mixing of religions, why not just throw in a Menorah??? ?